Anyone who knows me well knows that when I get obsessed with something crafty, I sleep, eat and dream it until I get it out of my system. 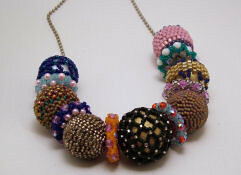 I have gone through beaded bead obsessions before and am experiencing my latest one. 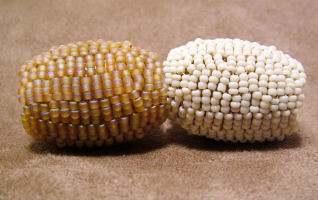 The beads I am making now are an unplanned, free form peyote and I am trying four, three, two drop and standard versions as I stitch my way around the beads. 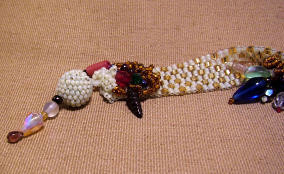 I am using Japanese beads: Delicas, Miyuki 11/0 seed beads and some size 15/0, and some old round Japanese seed beads my friend Dorothy gave me a few years ago. 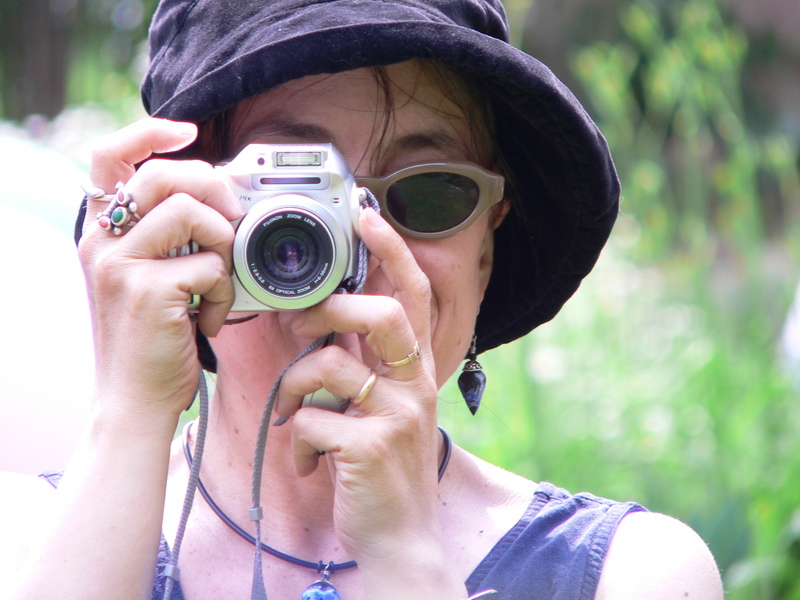 I am finding inspiration in the work of Gustav Klimt. 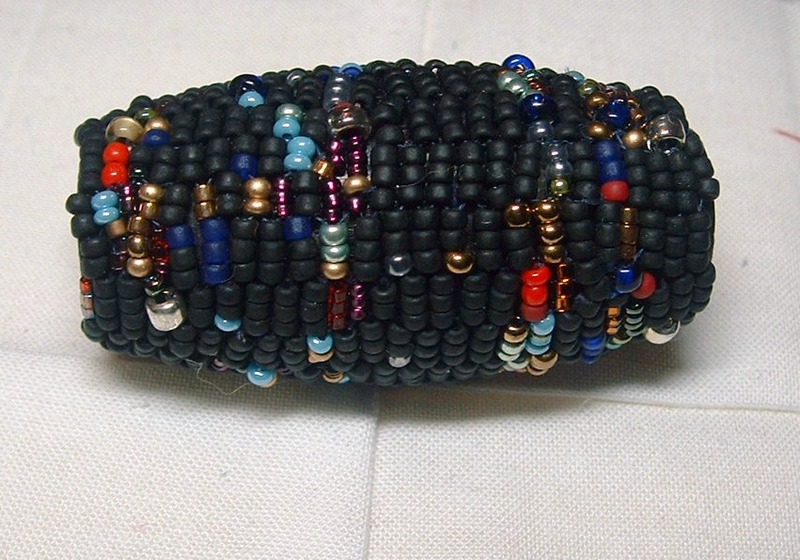 Sampler using peyote, netting, right angle weave and brick stitch. The spacers are Nikia Angel’s Sparkley Wheels. A great source of wooden beads, ovals and rounds, size small to huge is Craftparts. 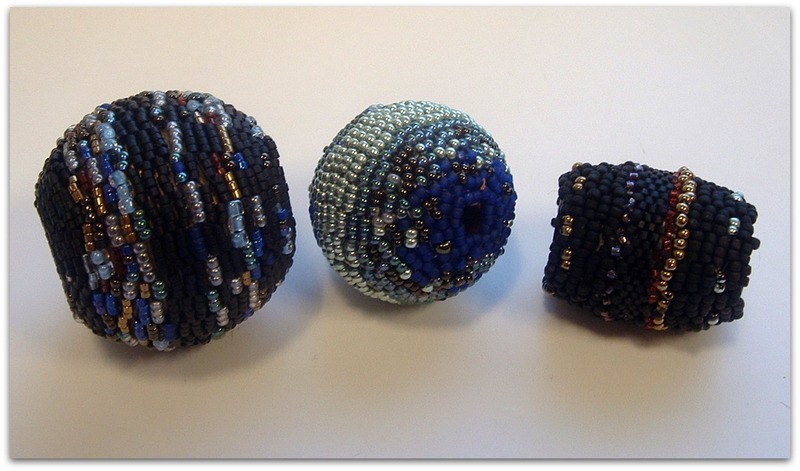 Finally, check out Amy Karash fine bead work I have adored her work for years.